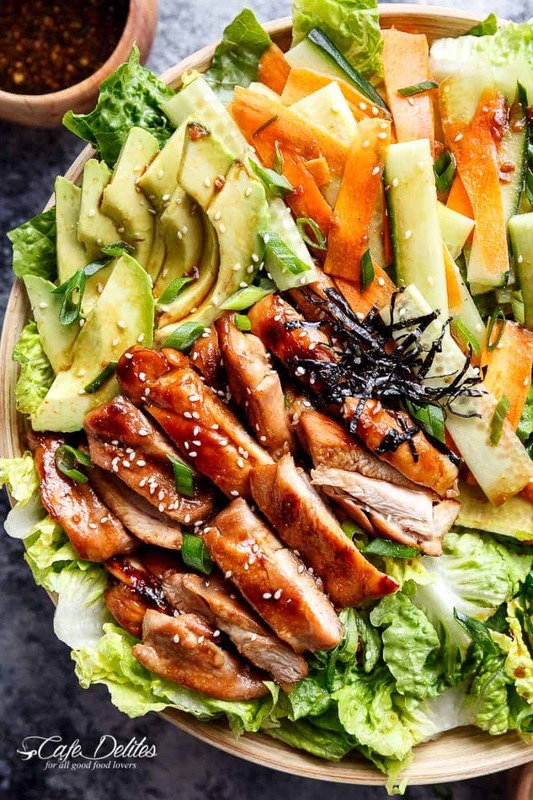 Teriyaki Glazed Chicken Salad complete with avocado, cucumbers and carrots for real sushi lovers! 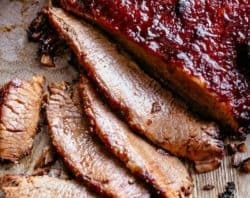 Drizzled with an incredibly easy teriyaki dressing that doubles as a marinade! 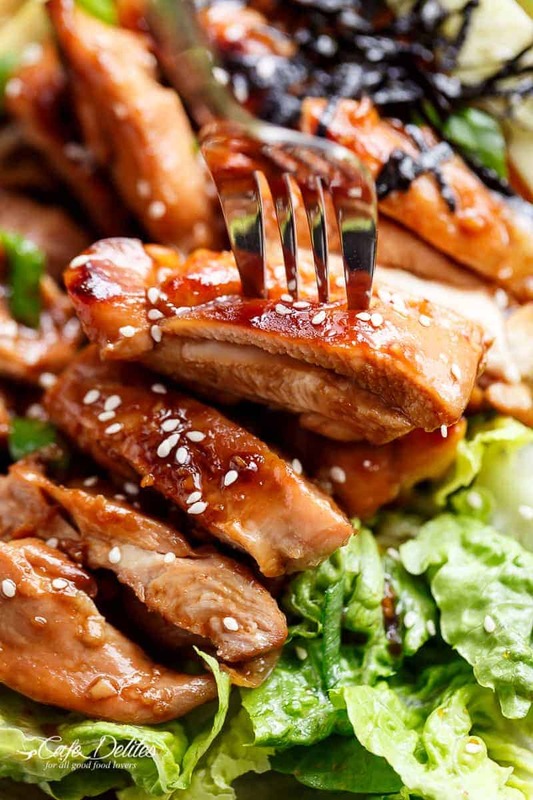 This Teriyaki Glazed Chicken Salad is my easy go-to! Exactly like a deconstructed sushi roll in a bowl…without the rice. You won’t find a teriyaki glazed chicken salad like this one in any take away store! 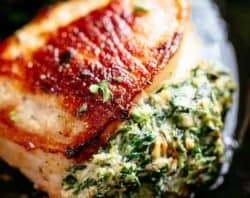 The DRESSING doubles as the MARINADE! YES! And why am I screaming? I’M EXCITED. With all of the carbs being posted (and will continue being posted with Christmas coming up — FYI cookies are coming), it was time for a flush of salad. How bittersweet it is that most of you guys are starting to freeze in some parts, while we had the extreme heat wave from hell yesterday. 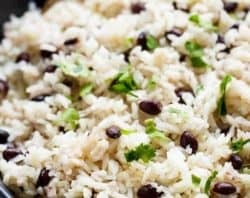 This salad was my solution to an easy dinner. Slow cookers will be out in full force again tomorrow. As with this salad, ALL the love is in THIS DRESSING! 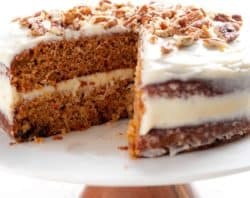 So simple and so GOOD made from scratch! NO bottled stuff over here! 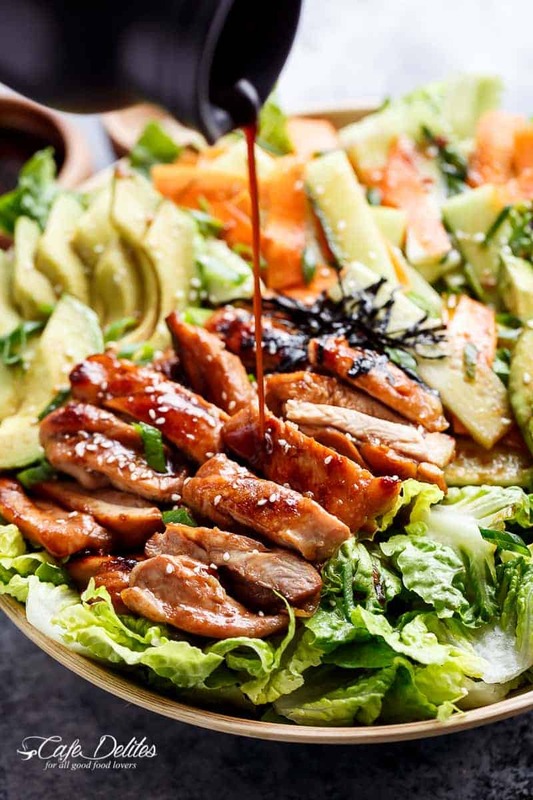 Teriyaki Glazed Chicken Salad for the win! 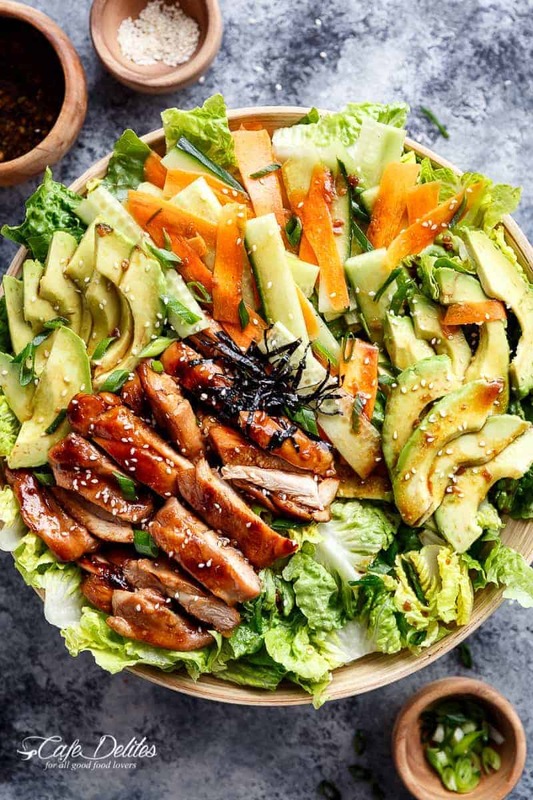 Teriyaki Glazed Chicken Salad complete with avocado, cucumbers, carrots and thin strips of seaweed for real sushi lovers! 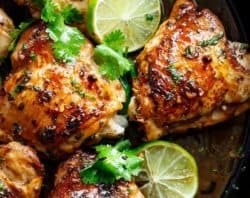 Drizzled with an easy teriyaki dressing that doubles as a marinade! Combine together the soy sauce, mirin, sake, sugar and garlic in a medium-sized shallow bowl; mix well until sugar dissolves. Pour out 1/2 cup of sauce into a small bowl for later use; set aside. Add the chicken thighs into the marinade in the bowl, and coat evenly. Heat the oil in a good quality non-stick pan or well seasoned skillet over medium-high heat. Sear the chicken for about 5 minutes, flip, and continue to sear for a further 3 minutes. 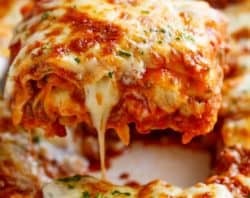 Add in the remaining sauce leftover in the bowl, and continue cooking with the chicken until the sauce thickens and reduces down. Once cooked, allow to rest for 5 minutes while preparing the dressing. Whisk together the reserved marinade from step 1, with the rice wine vinegar and sesame oil. Add 2 tablespoons water; mix well. Prepare all of the salad ingredients in a large salad bowl and mix. Slice the chicken and arrange over salad. Top with the green onion slices, sesame seeds, shredded seaweed, and drizzle with dressing. What is sake? 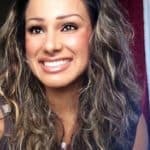 I m in Australia is there a substitute? 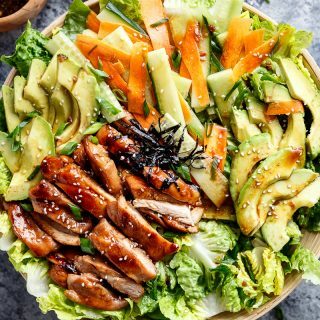 love teriyaki chicken and the “from scratch” marinade and dressing, and yes a salad like this with a good dose or protein is a nice counter-balance to excess carbohydrates! Thank you for sharing this! Great! I love those ingredients! I#Ll try the salad just right away!